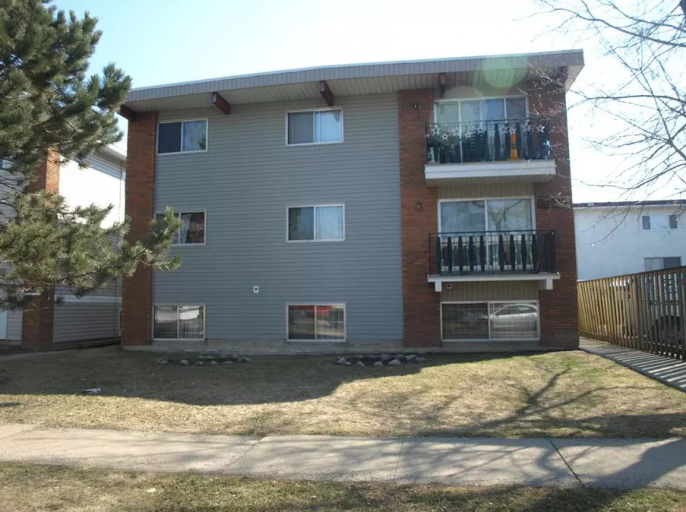 Located perfectly just block behind Macewan University, this gorgeous and well taken care of building offers walking distance to the University, the Macewan LRT stop, and the new Ice District and Rogers Place! WOW! This one bedroom unit offers a large living room and spacious kitchen complete with tons of cupboard space and full size stove and fridge. The bedroom is large and there is a full bath with tub shower as well. Enjoy both your own private balcony as well as one reserved parking stall in the building private lot! The building features brand new shared front loading laundry services! Installed June 2017! Plus in this unit you only pay your own power! Water and Gas are included!